The global market for performance analytics is projected to gain tremendous momentum over the coming years majorly due to the omnipresent need for continuous improvement across all industries. Performance analytics is a system wherein data and technology is used to measure performance against the pre-set parameters. The results are then compared against the ideal or desired results in order to gauge the performance matrix of a firm. The need for improved performance is felt across several sectors including banking, finance, healthcare, manufacturing, operations, supply chain management amongst others. Hence, the market for performance analytics is expand at a robust rate over the coming years. Businesses have started deploying standard procedures for improved performance, and the use of metrics to track results has become commonplace. Furthermore, the technological advancements in the field of data analytics and cloud computing has also given a boost to the demand within the global market for performance analytics. Rate of Investment (ROI) has become a key area for businesses to understand their dynamics, thus, recalibrating the focus of companies towards performance analytics. Despite the favorable factors for the growth of the global market, the lack of awareness about services and software for performance analytics could hamper the growth of the market. Nevertheless, the providers of services within the field of performance analytics are expected to cumulatively add to the growth of the market over the coming years. Owing to the presence of a large number of market players, there is cut-throat competition in the global market for performance analytics. Performance analytics utilizes technology and data to study the performance of an identity and measure periodic improvements based on desired results. The software and services offered by performance analytics can be used for various applications including the fields of banking and finance, administration of a supply chain, operations at an organization, and sales and marketing among others. For instance, performance analytics software and services helps local government leaders to monitor their policies and initiatives pertaining to the benefits reaching to their community and residents. 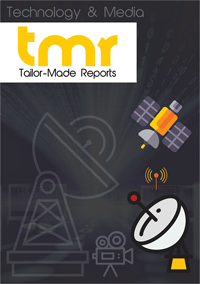 With rapid urbanization and the growing need for accurate analysis, the demand in the global performance analytics market is expected to expand at a rapid rate during the forecast period of 2017 to 2025. Factors such as the growing need to generate insights from constantly increasing volume of the data, technological advancements in computing power, and increasing prevalence of metrics driven business performance assessment are expected to extend the demand in the global performance analytics market in the near future. However, the lack of awareness regarding the benefits offered by performance analytics software and services and concerns of positive return of investment (ROI) among the prospect end-users is hindering the market from attaining its true potential. Lack of skilled analytics workforce and data security are other two factors challenging the growth rate of the global performance analytics market. The segment of services can be bifurcated into managed services and professional services including support and maintenance and consulting services. Out of these, the demand for managed services is surging quickly owing to its extending application in almost every technological domain in a client environment. With these services, organizations can sustain their market via service consistency, technical expertise, and flexibility. The demand for predictive performance analytics is surging too, as it aids the business organizations in anticipating the future business scenarios with in-depth analytics of past and present performance data. With predictive model, the users to are able to understand the probable risks and prepare for the eventualities at all levels. The emergence of advanced vendor offerings including cloud-based performance analytics solutions is expected to prove a boon for the market in the near future. With cloud-based software, vendors are now able to track the performance and offer their analytics on the run-time and hence are opening new market opportunities. North America currently serves the maximum demand for performance analytics, which is a reflection of large investments in cloud-based solutions in various sectors in the countries such as the U.S. and Canada. This region also has a high adoption rate of new technologies, besides being the headquarters of several prominent players in this market. These two factors are expected to maintain North America are the most lucrative region in the market for performance analytics during the forecast period. However, rapid urbanization in a number of emerging economies is expected to turn Asia Pacific into a profitable region in the near future. The demand for cost-effective performance analytics is favoring the growth of the market in this region. Europe is expected to showcase sluggish growth rate. With the presence of a number of players with significant presence in several regions, the competition in the global performance analytics market is quite stiff and customized services and software is the primary strategy adopted by these players to gain ground over their competitors. Some of the leading vendors in the performance analytics market are Servicenow, Inc., Siemens AG, International Business Machines Corporation, Adaptive Insights, Optymyze, Quantros, Inc., SAP SE, Oracle Corporation, Xactly Corporation, Callidus Software Inc., Nice Systems Inc., Tidemark Systems, Inc., Prophix Software, Inc., SAS Institute, Inc., and Tagetik Software Srl.